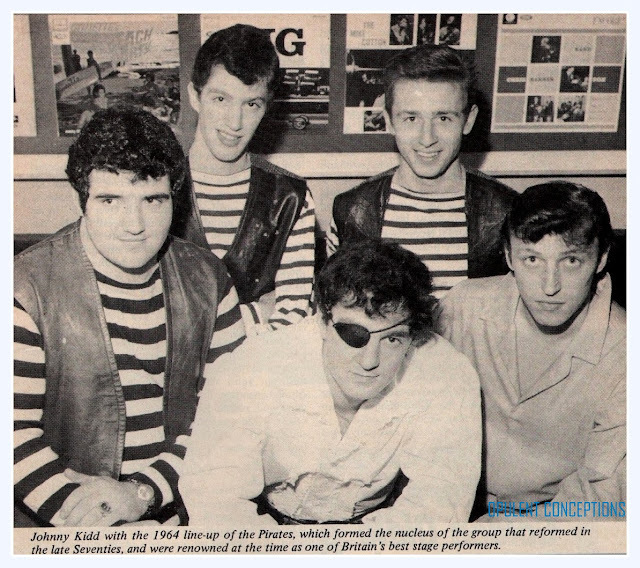 In 1964 Johnny Kidd added keyboard player Vic Cooper to his Pirates backing group. 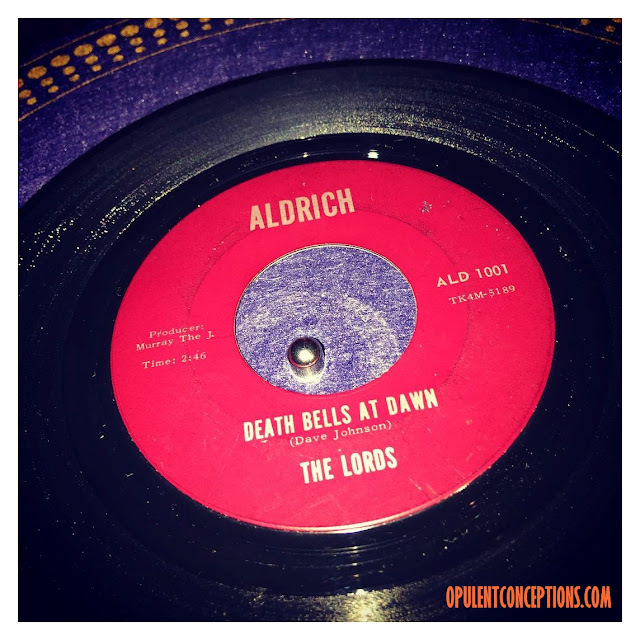 It was back to their R&B sound. 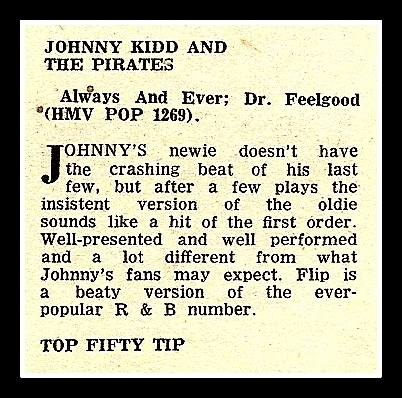 "Always And Ever" reached #46 in the Charts but it's the B-Side "Dr.Feelgood" that gets my interest. 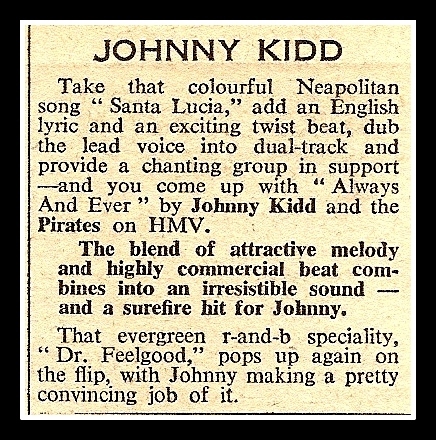 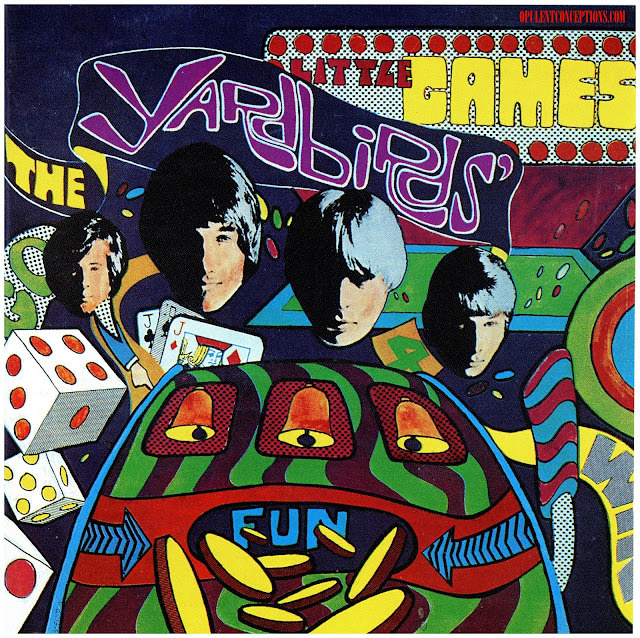 Take that colourful Neapolitan song "Santa Lucia," add an English lyric and an exciting twist beat, dub the lead voice into a dual track and provide a chanting group in support and you come up with "Always And Ever" by Johnny Kidd & the Pirates on HMV. 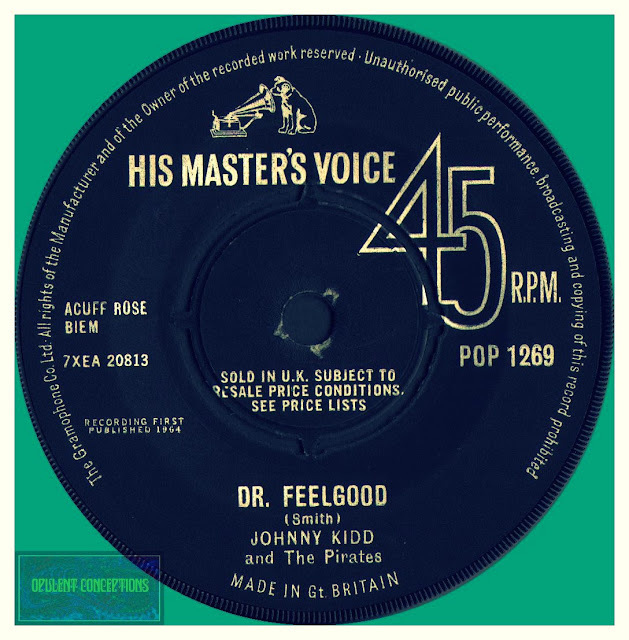 The blend of attractive melody and highly commercial beat combines into an irresistible sound - a surefire hit for Johnny.